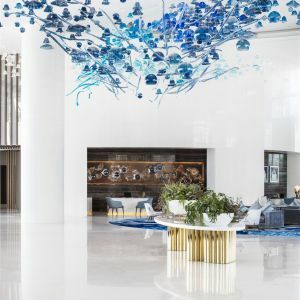 Located just minutes from downtown Abu Dhabi, the Jumeirah at Saadiyat Island Resort welcomes guests to the stunning magnificence of the most pristine beach in the Arabian Gulf. 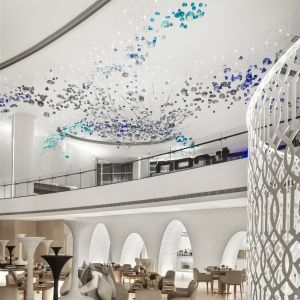 This exclusive complex and spa was designed by SSPD – Sheikh Surroor Project Department to celebrate the natural beauty of the scenery that surrounds it. 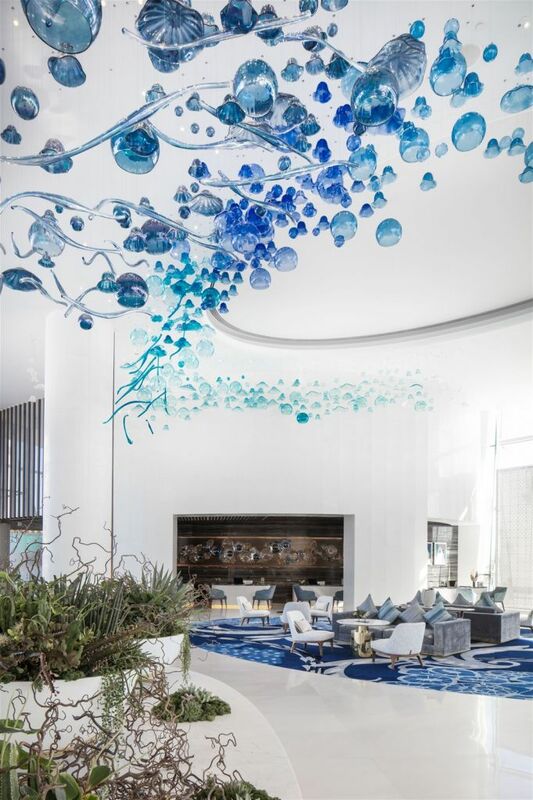 Naturally, Preciosa was the perfect choice to accent the clean, contemporary lines of this eco-conscious resort. 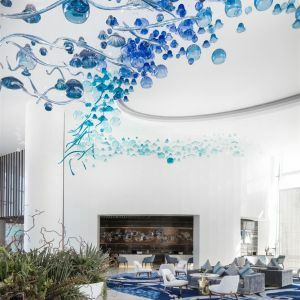 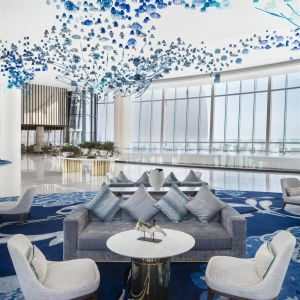 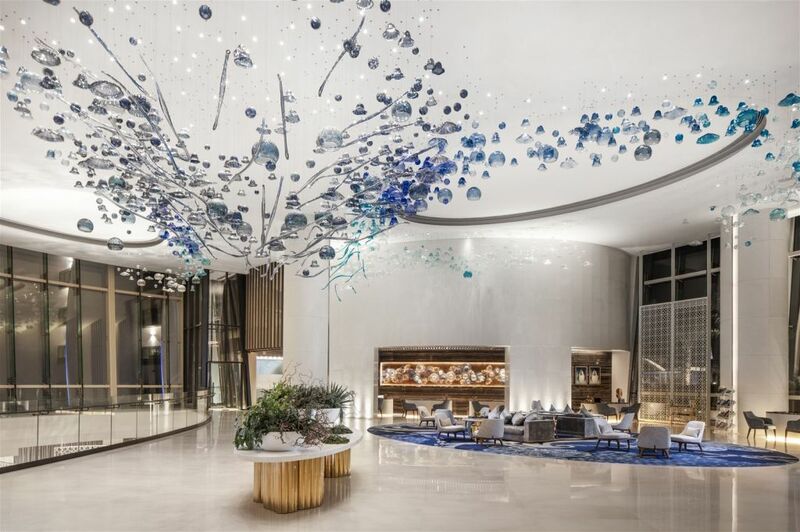 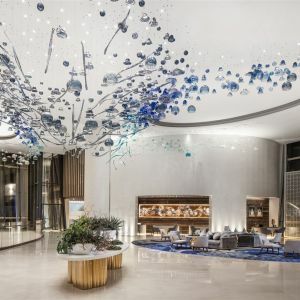 Tasked by the SSPD design team to create a modern underwater-inspired glass masterpiece, Preciosa sculpted two oceanic treasures for the hotel’s main lobby and reception. 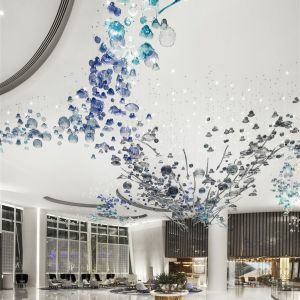 As you first step into the resort you cannot help but gaze up at the magnificent crystal tentacles that wind their way through the expansive main lobby. 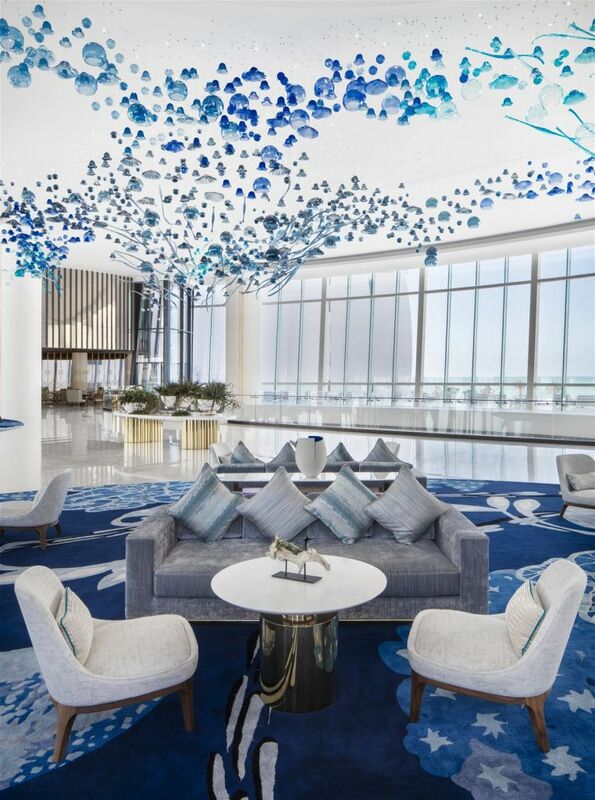 Airy and delicate, this artistic creation stretches almost 32 meters in one direction and 26 meters in the other. 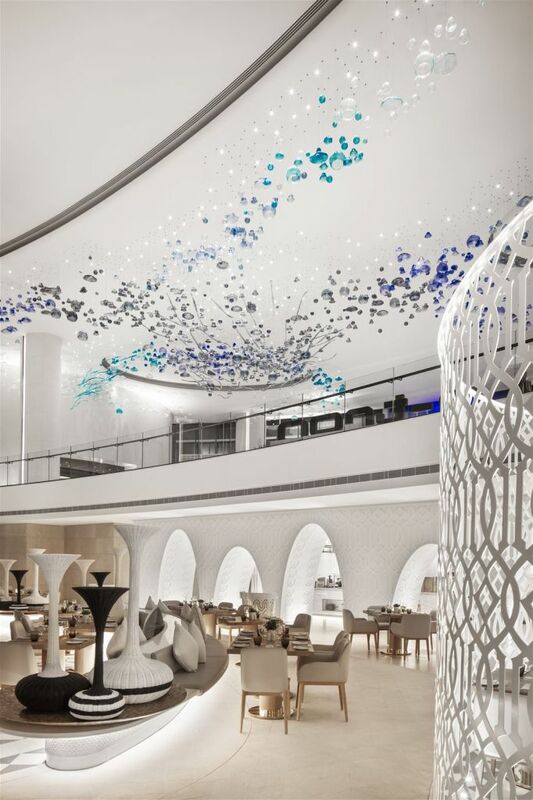 At four meters high, the coral-like sinews perfectly mimic the hotel and spa which blends into its marine surroundings. 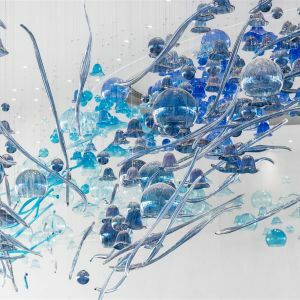 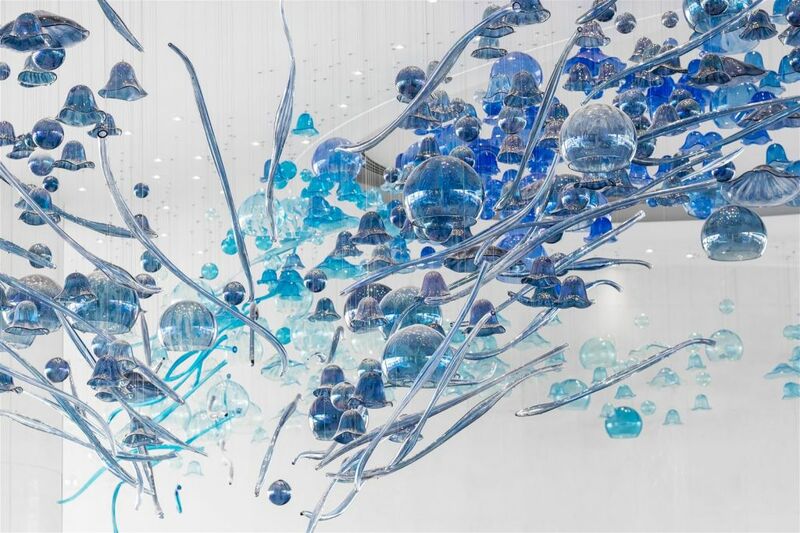 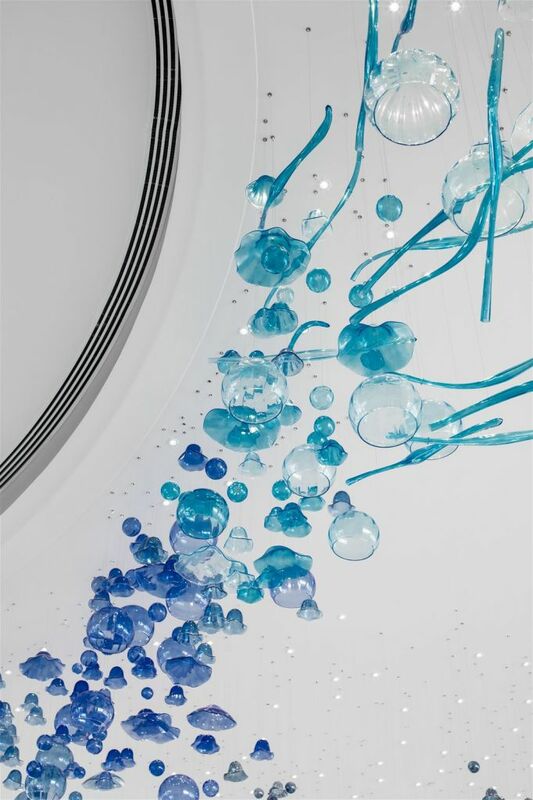 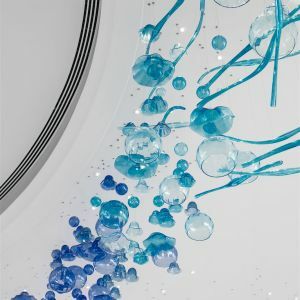 A closer look reveals hundreds of hand-blown glass jellyfish, spheres, and hand-crafted coral that sparkle in shades of peacock, azure, sky, aqua and iris lustre. 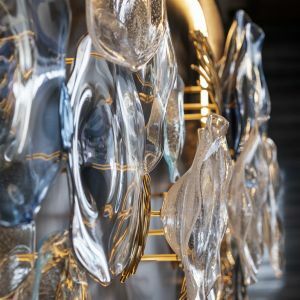 Crystal beads finish out the piece, adding a fresh brilliance to the elegant installation which weighs in at almost three tons. 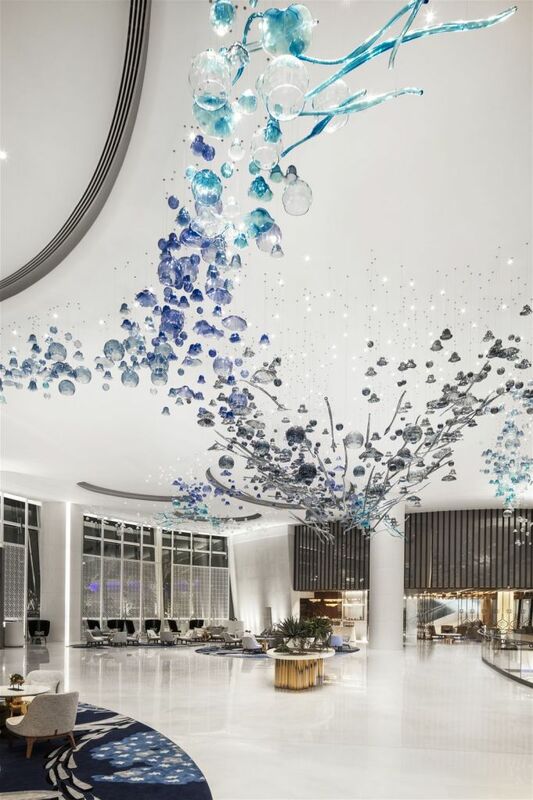 In the reception area, the eye quickly gravitates to the one-of-a-kind glass backdrop designed by Preciosa. 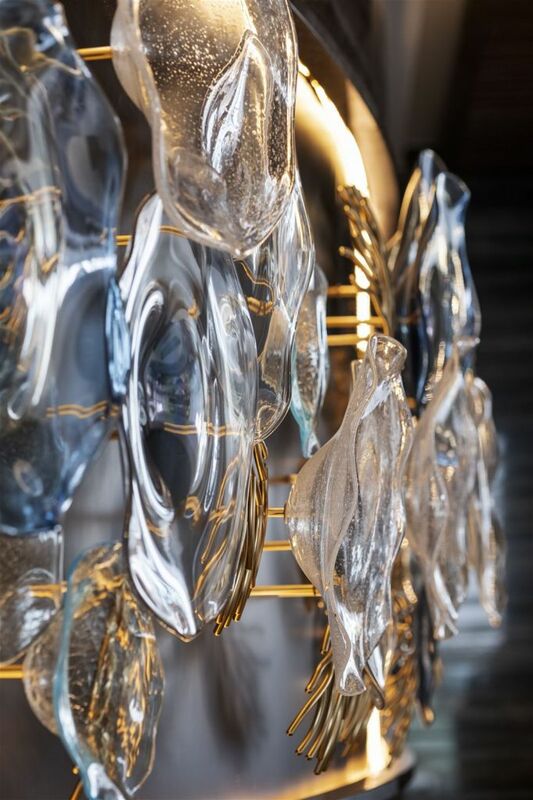 Hand-blown glass plates situated at varying depths from the wall and gold metal-plated coral of slumped glass create a 3D glass sea wall. 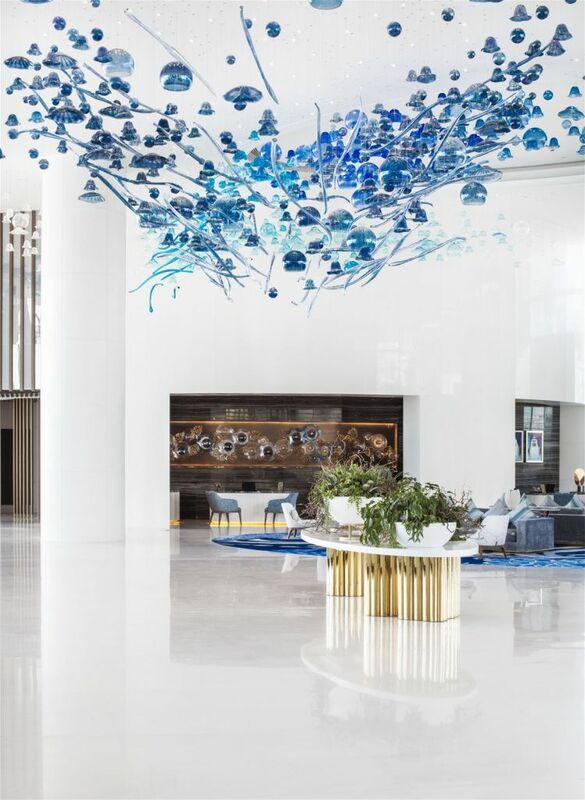 The soft hues of blue, iris lustre and metallic gold set the mood for a truly serene island experience.